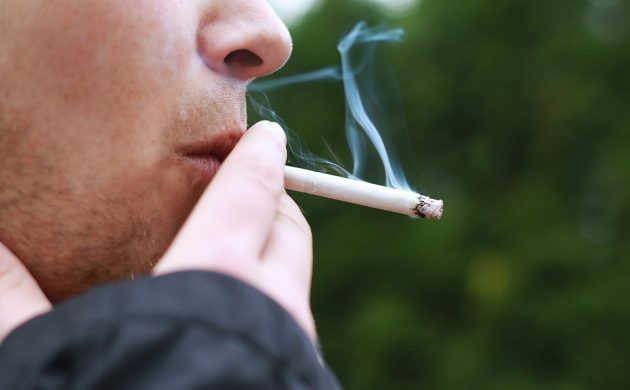 A majority of local politicians at Copenhagen Municipality are keen to ban students from smoking during school hours. A total ban proposal will be discussed by the municipality’s children and youth committee today, and the idea has the support of the leadership of several city schools, though they admit that enforcing the ban could prove challenging. “It is impossible to enforce such a ban, but I still believe that it’s a good idea,” Henrik Wilhelmsen, the head of Nørrebro Park School, told DR Nyheder. A smoking ban would mean that students won’t be permitted to smoke on or outside school property during school hours. The deputy mayor for children and youth issues, Jesper Christensen, doesn’t see any concern in regards to the enforcement of the ban. “I think most of our students want to adhere to the rules, so our ban will have a cultural impact on the schools,” he told DR Nyheder. A report from earlier this year found that an increasing number of young Danes were taking up the unhealthy habit. In related news, the supermarket chain Netto has revealed its decision to hide cigarettes behind checkout counters has had an impact on sales. Just one month after the move, Netto reports that cigarette sales have decreased by about 5 percent. Since mid-July, the cigarettes at Netto’s 500 stores have been hidden behind the counters and customers have had to ask for them. The initiative is part of a campaign to generate a smoke-free generation in Denmark by 2030.